TODD MISSION – The 40th Annual Texas Renaissance Festival will open next weekend, starting on Saturday, Oct. 11. The festival is the nation’s largest Renaissance theme park, open every Saturday, Sunday and thanksgiving from Friday, Oct. 11 through Nov. 30th. 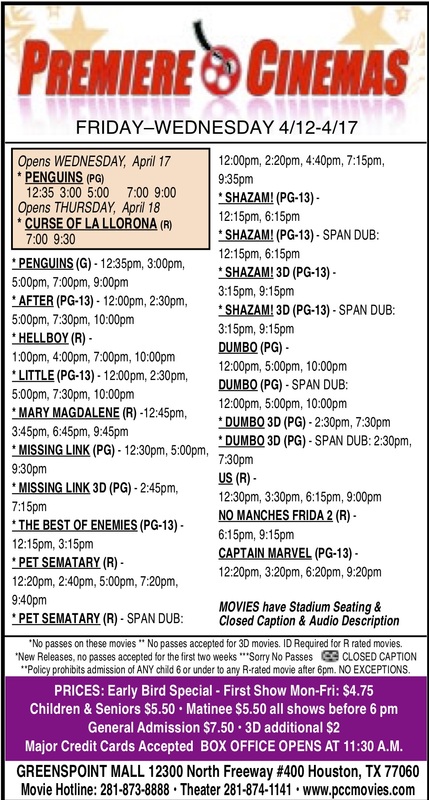 In addition, students and teachers may come for the 10th Annual School Days, Tuesday and Wednesday, Nov. 4 and 5. Oktoberfest, 1001 Dreams, All Hallows Eve, Pirate Adventure, Roman Baccanal, Barbarian Invasion, Highland Fling, and a 3 day Celtic Christmas. Each weekend offers unique entertainment, special contests, and food events tied to the theme. Find out how to have a little fun on the weekends from October 11 until November 30 at 21778 FM 1774 in Todd Mission, Texas. Hundreds of costumed performers showcased in over 200 daily performances. Over 400 shops offering unique items from the world’s best artists and craftspeople. The finest food, drink, wine, ales, and beers representing cuisine from all over the world. Games of skill and human powered rides to amuse the young and young at heart. Royal Fireworks are held each Festival evening at dusk. The celebration continues each Saturday evening at King Midaqs’ Masquerade Ball, a night of legendary revelry held in a new, magical venue outside the Festival gates. Join an unprecedented evening of magic, mystery and imagination. Raise a tankard as we open the festival in true Oktoberfest style Oct. 11&12. Journey to Bavaria and the Black Forest as the air echoes with traditional German music and dancing. Dance a polka, feast on Bratwurst and sauerkraut, quench your thirst with a stein of beer and join in the fun by entering into one of the three German themed contests. Magical fantasies come to life as wizards, elves and faeries enchant the streets of New Market Village spreading joy throughout the shire Oct. 18and19 for 1001 Dreams. Become part of the enchanting celebrations by participating in the Fantasy Scavenger Hunt, show off your magical finery in the Fantasy Costume Contest, and test your tastebuds in the Dragon Wing Eating Contest. October 25 and 26 ghouls, goblins and spooks abound as all things creepy emerge from the mists to pay homage to our Queen on Halloween. All will delight in His Majesty’s Annually Decreed Tricks or Treats outing. Admire the carved Jack-o’-lanterns that glitter in the moonlight, bedecking the village shoppes and enter the costume contest to win a fabulous prize. 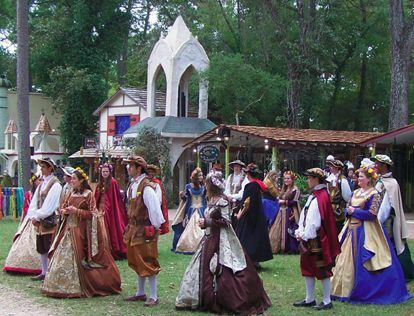 This is the 40th Annual Texas Renaissance Festival. Set sail for a swashbuckling weekend Nov. 1&2 as the crew of the Pride of Bedlam invade the shire with their piratical shenanigans. For Pirate Weekend visit the Pirates’ Cove for the finest in treasure and booty, quench yer thirst and sing songs of the sea at the Sea Devil Tavern, and try yer luck by entering any of our Pirate Contests. YAR, ye bilge water swilling land lubbers! There is best dressed pirate and talk like a pirate contests. Friends, Romans, Countryman. Toga! Toga! Toga! Join the Italian Court in an extravagant Roman Bacchanal Nov. 8 & 9. When in Rome, do as the Romans: seek wisdom from the oracle of Delphi, toss a Bocce Ball, enjoy a Pasta Eating Contest and show off your Centurion physique or Venus-like beauty in the world’s largest Toga contest. Veni, Vidi, Vici! Uggh! You! Weakling! Join in the Barbarian Invasion Nov. 15 & 16! The Barbarian King, and his band of barbarian buddies try to prove themselves civilized citizens of the realm. Compete in rowdy contests of barbaric fashion: Worst Dressed Barbarian, Barbarian Battle Cry, and prove your love of meat at the Turkey Leg Eating Contest. Time to gather your hoard and raid the village! The Queen of Scotland beckons all of ye to throw on your best kilt and join the fun Nov. 22 & 23 for the Highlands Fling. Imbibe in one of the many ales or indulge in a Scotch egg, enjoy the energetic pipes and drums of Tartanic for a rocking highland good time, and Lads and Lasses should put their best knees forward and enter the Bonnie Knees Contest and the Highland dance contest. The festivities conclude as thoughts turn to Christmas and the gates open for a three day weekend following the Thanksgiving Holiday. A Celtic Christmas is Nov. 28 through 30. Shoppes shine with Christmas décor and the sounds of the season are heard throughout the village. Join in the festivities with a yuletide scavenger hunt, hot spiced mead and a visit with Father Christmas. Within walking distance to the festival front gates, the Fields of New Market Campground features two convenience tores, water stations with potable water, permanent and portable restrooms, as well as easily accessible trash dumpsters. Spaces for RVs, tents and campers are available on the first come, first serve basis. Seperate from the main camping area, is also available for guests who prefer a more serene experience after 10:00 p.m. At only $20 per vehicle, with the purchase of Texas Renaissance Festival admission tickets. These new campgrounds offer a communal bonfire, live music and performances by many of the festival artisans occur each night to enhance the social experience throughout the weekend. HOUSTON – A man pushing his minivan was fatally struck by a taxi along the Eastex Freeway. was attempting to push his stalled vehicle, a white Honda Odessey van, off the Eastex freeway to the emergency lane and right lane of Eastex Freeway and Langley when a taxi driver failed to notice him. The man and his vehicle were then struck by the yellow Toyota Cienna minivan, traveling northbound on the freeway. The driver of the taxi remained at the scene, was questioned and released. The wife and two children, ages 5 and 3, inside the vehicle were transported to Memorial Hermann Northwest Hospital in stable condition. The man died on the scene, his identity is pending verification by the Harris County Institute of Forensic Sciences. The taxi driver sustained no injuries. The investigation is continuing.